The Maltese authorities have rejected “without any explanation” a request by a migrant rescue vessel to exchange 10 crew members for four new volunteers. 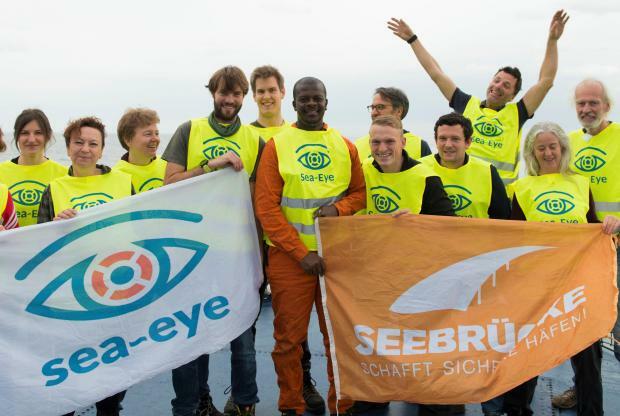 The crew is looking for a port for the other NGO vessel Professor Albrecht Penck, which was also involved in the rescue, but which was barred from entering Malta. The use of state power to take aggravating measures to prevent aid agencies from saving human lives reveals Malta’s political course, a harsh statement by NGO Sea-Eye said on Saturday. It comes at the end of a 22-day ordeal in which several migrants were stranded at sea as EU countries grappled over who should take them in. Malta eventually accepted to take them on condition that they were redistributed to eight other EU states. But the saga appears to have dragged on after Malta refused to give permission for the Sea Eye vessel to dock, despite the “intensive efforts” of the German ambassador. “The dignity of our crew and the rescued people was not only touched, it was drowned in the Mediterranean,” Sea Eye spokesman Gorden Isler said. “Apparently, one is very afraid that we will right away head back towards Libya being ready to rescue,” Mr Isler said. The NGO accused Joseph Muscat of imposing his political will on the EU, regardless of the dignity of the rescued or the seafarers, by also forcing the relocation of 249 migrants rescued by the Armed Forces of Malta. Dr Muscat received representatives of the Libyan unity government and demanded that the “so-called” Libyan Coast Guard be allowed to do their job.